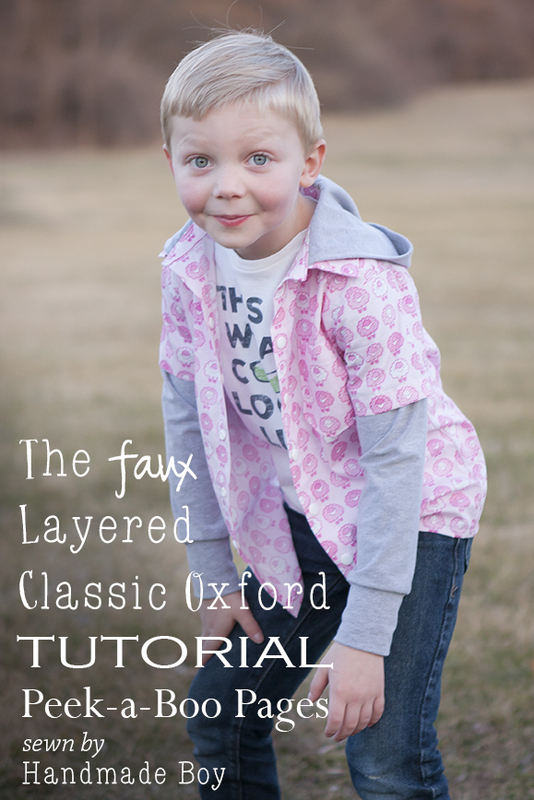 Faux Layered Classic Oxford Tutorial - Peek-a-Boo Pages - Patterns, Fabric & More! Are you ready to take the classic oxford to another level? I absolutely LOVE how much I can do with this single pattern! 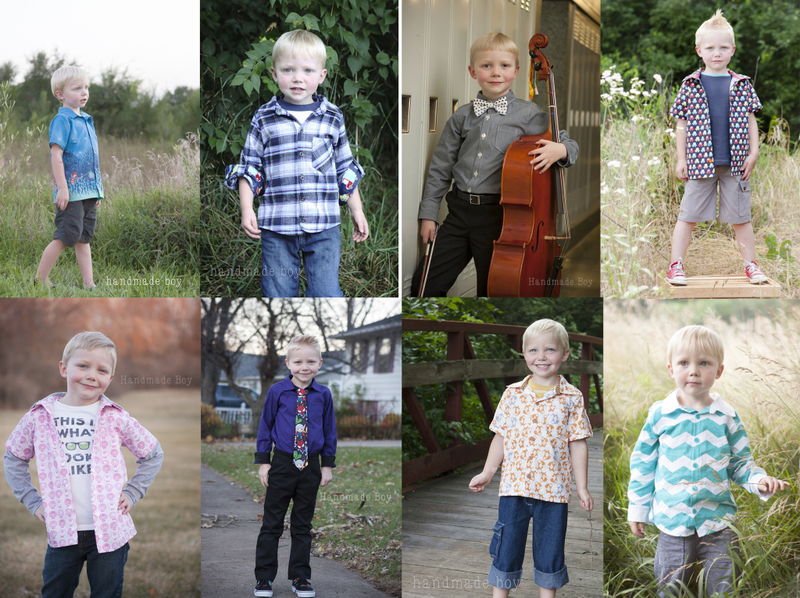 My first tutorial for PAB was turning the Classic Oxford into a more casual camp shirt. And now, I have taken that tutorial and taken the classic oxford a step farther with a faux layered look that I just LOVE! 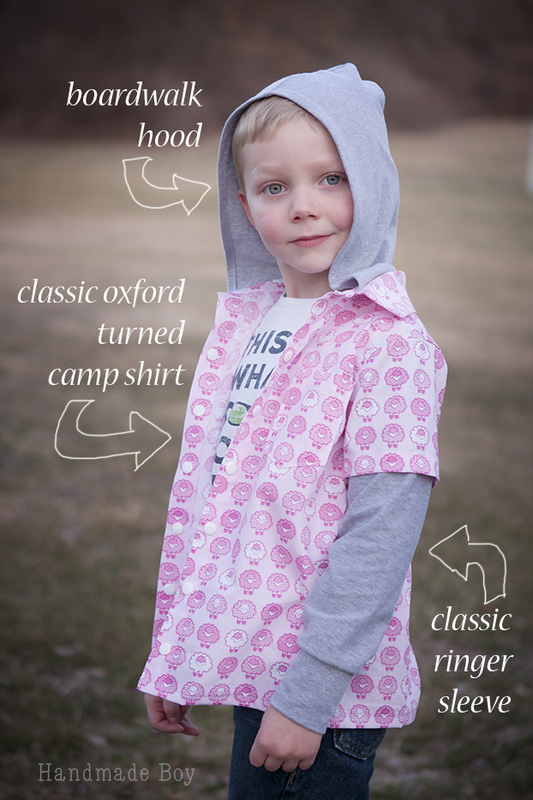 Construct your shirt according to instructions of the classic oxford using the camp shirt tutorial to make the changes to the hem and collar stand. Stop when you get to the sleeves portion. To create this great faux layered sleeve, you will need the long sleeve of the classic ringer along with the short sleeve of the classic oxford. 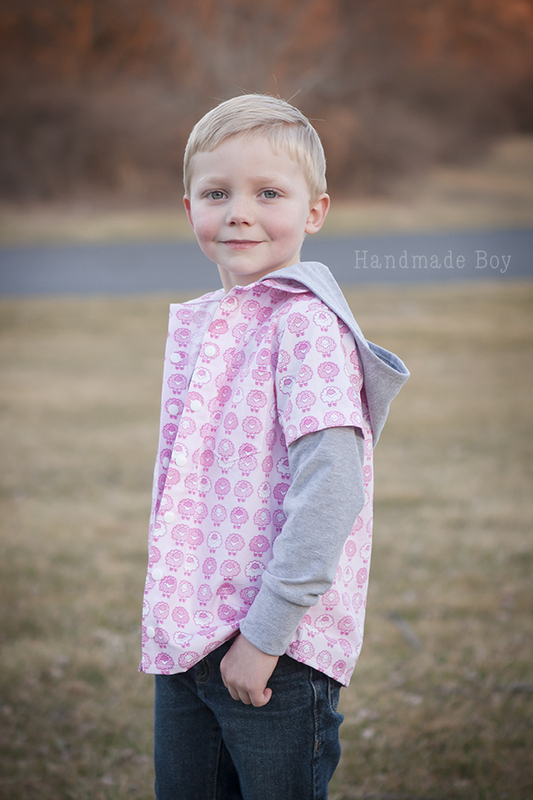 If you need help with how to assemble the layered sleeve, hop over to Handmade Boy for my faux layered sleeve tutorial. Refer to the classic ringer instructions for attaching the cuff. Assemble your hood from the boardwalk. 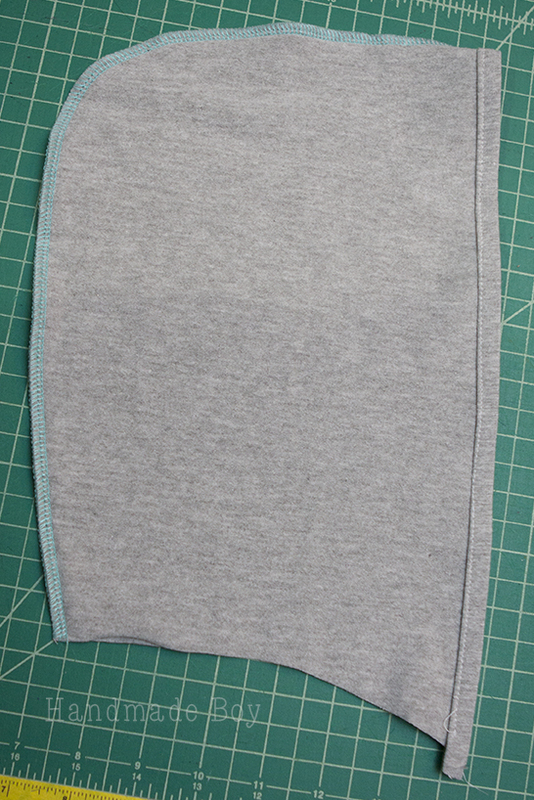 I made a single layer hood so I folded the front of the hood over to the wrong size 1/4″, pressed and then folded over 1/4″ again and then topstitched into place. You can clip that little over hang off at the bottom. If you want a lined hood, just follow the directions in the Boardwalk pattern. After your sleeves are attached, jump over to the classic oxford instructions for assembling the collar, step 28. Stop when you get to attaching the collar to the collar stand. This is where you are going to attach your hood! It will be sandwiched right between the collar and collar stand. Line up the edge of the hood with the end of the collar. You may have to ease the hood a little bit. 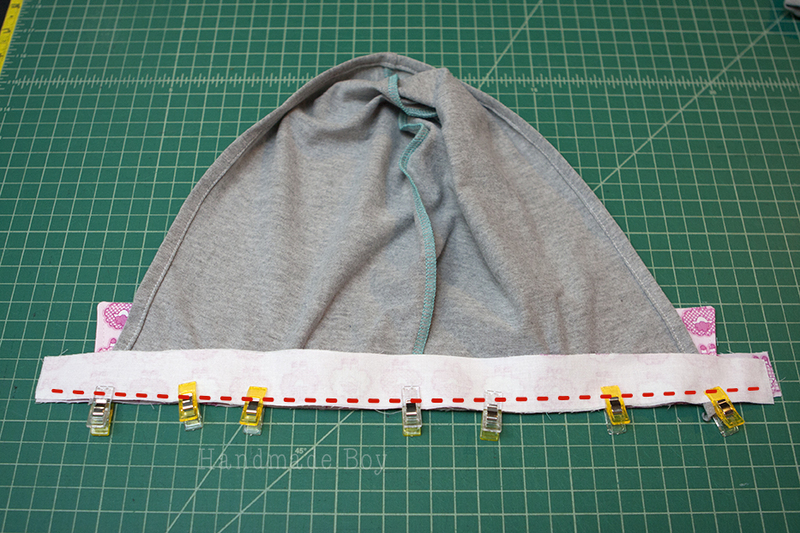 If the hood is too long, you can always take a larger seam allowance at the center of the hood. Baste along the bottom edge. You can baste these layers together one at a time, as you are sandwiching, or all at once. Now, attach to the body of the shirt, just like the instructions state in the classic oxford pattern. Just be sure to keep the hood out of the way. 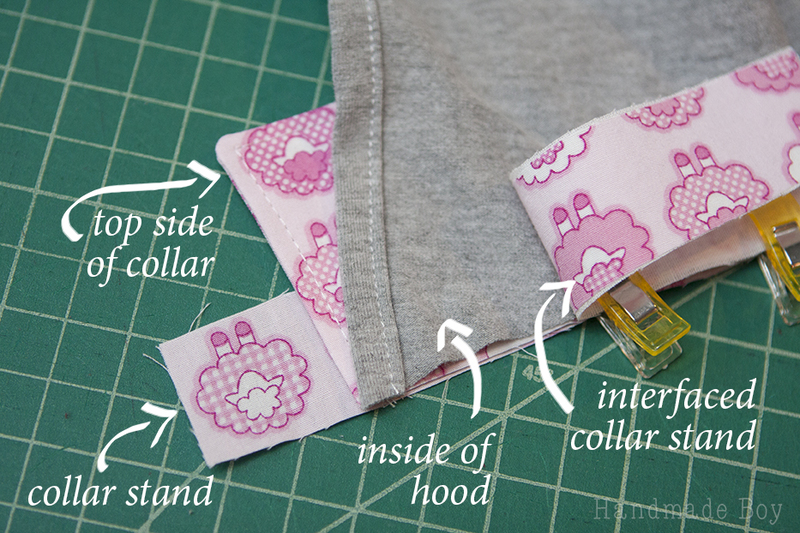 The right side of the hood will be against the body of the shirt when you attach the collar stand. This is what it should look like after you get the collar stand attached to the shirt. Your hood will look like this where it attaches to the collar stand. It will lay on the collar. 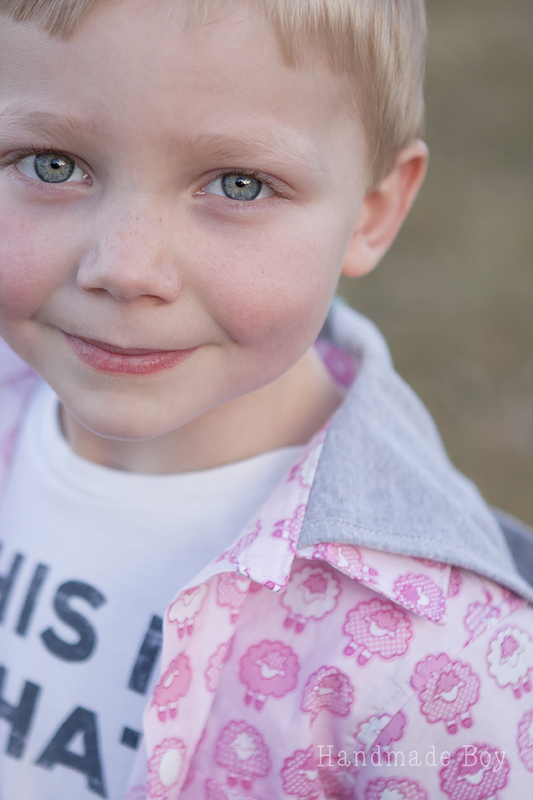 Now just hem up the bottom of your shirt and you are good to go! So, now for some fun, let’s count the number of looks we can pull off with the classic oxford.